The Flat-Coated Retriever is considered to be a very healthy breed, but this does not mean that inherited and genetic diseases will not be passed down to your puppy. It is important for you to work with a reputable breeder to ensure the healthiest pups. 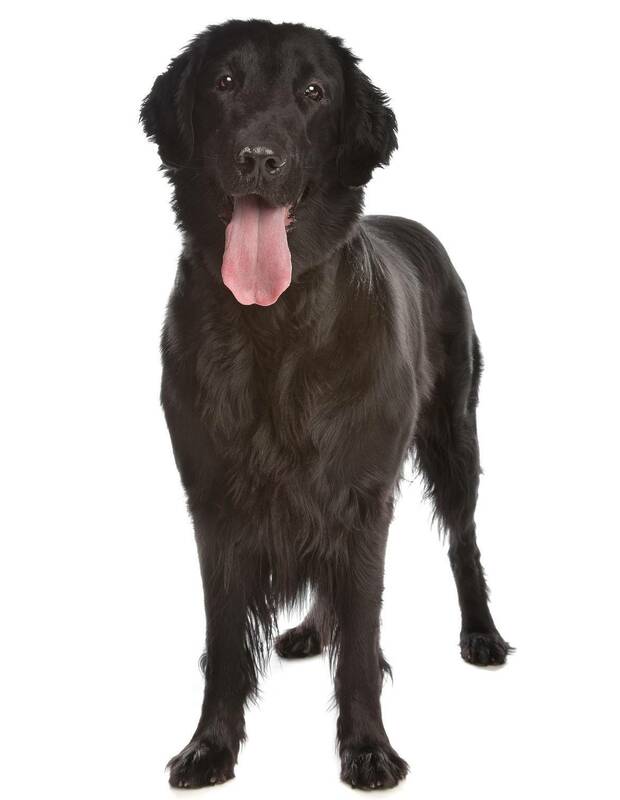 There are some health concerns with the Flat-Coated Retriever, which include patellar luxation, PRA, hip dysplasia, and cancer. Patellar luxation is the dislocation of your pup’s knee, and this results in lameness of the knee and can cause your pup to have trouble walking and standing. This condition will need to be corrected by your vet, and you may notice that your pup is in pain. PRA, known as progressive retinal atrophy, is a genetic condition that is passed down from the Flat-Coated Retriever’s parents. It is important that you work with a breeder who screens the parents for this condition. If PRA is not present in the parents, your puppy will not develop it. PRA is the degeneration of the retina in the eye, and this leads to blindness in your pup. 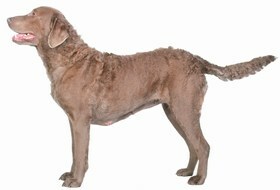 The disease is progressive, so it will start out slow and continue to advance until your pup can no longer see. Hip dysplasia is a concern in your Flat-Coated Retriever and may occur. This condition occurs when the hip socket does not function properly. In serious cases, your pup may not be able to move the affected joint much at all. This is a genetic trait and can cause painful arthritis. Lastly, cancer is a concern in the Flat-Coated Retriever. It is important for you to let your veterinarian know if you suspect that your pup may have cancer. Since cancerous cells can appear anywhere in the body, you need to make sure that you have your pup screened on a regular basis. The Flat-Coated Retriever has a life expectancy of 10 to 14 years. The Flat-Coated Retriever is an affectionate pup who will show you a lot of love over the years. This pup is known to do well with children, but this breed prefers older children whom he or she can run around and play outside with. Since this breed is high energy, it is important that you have a yard for him or her to run around in. If you are an outdoorsy and active person, this is the breed for you. You will find that your Flat-Coated Retriever is ready to head out the door and jump into the car, head to the pool, or catch a Frisbee. 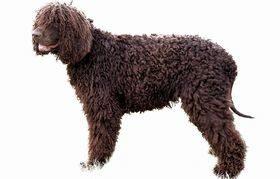 It is not uncommon for your Flat-Coated Retriever to have a bit of a wild and independent side, which may land him or her into some trouble. Curiosity can get the best of this breed sometimes, but that does not mean that you will always have a mess on your hands either. This breed is cautious near strangers and may have a difficult time letting them into your home. A proper introduction is essential. You can expect your Flat-Coated Retriever to alert you to potential danger and to protect your family. This breed is considered to be easily trained and will reply to your commands quickly and succinctly. This breed has a natural desire to please and respond to you. Of course, you have to make sure that you are calm, consistent, and firm when it comes to commands. The Flat-Coated Retriever does have minimal grooming requirements. 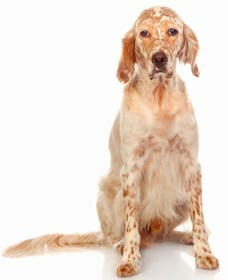 This breed is known to have a beautiful coat that shines and shimmers throughout the seasons. You will need to make sure that you brush your pup’s coat a few times per week to remove any loose hairs and ensure that the coat continues to stay glossy. You will notice that your pup cleans himself or herself a lot and a bath is not necessarily needed unless your pup becomes very dirty or develops a foul smell. When you do give your puppy a bath, make sure that you do not use a shampoo with a lot of chemicals or fragrance as this can damage your pup’s coat. Opt for one that is mild. The Flat-Coated Retriever needs to have his or her ears cleaned at least once per week and his or her nails trimmed once per month. Maintenance and grooming of the Flat-Coated Retriever is considered to be easy, and you will find that with a routine in place, you and your pup will love this bonding time. 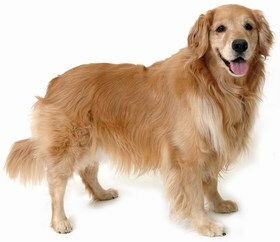 You can expect your Flat-Coated Retriever to consume between 2.5 cups and 3 cups of dry food per day. When it comes to the dry food you feed your pup, you want to make sure that it is one of the highest qualities. You do not want any fillers or by-products in the food. Some people prefer to feed their Flat-Coated Retriever a raw diet because it can help your pup gain energy and have a beautiful, shiny coat. A raw diet includes all types of foods from vegetables to raw meat and more. Consult your veterinarian before switching to this kind of diet. Looking for a Flat-Coated Retriever? A Flat-Coated Retriever puppy will cost you, on average, anywhere between $600 and $1,000. You will find the price fluctuates depending on the breeder you work with. It is important to remember that the price of a puppy does not guarantee its health, so always do your due diligence and check out your breeder’s records and health checks. Ranking takes into account a few basic factors including cost, skill level needed, high vs low maintenance and how critical regular training is to success. The Flat-Coated Retriever is a good choice for a family as this breed gets along with children and likes to play with them. This breed has a lot of energy but is not recommended for the faint at heart. You will need to work to ensure your pup stays exercised and is trained properly. The Flat-Coated Retriever does like to bark at strangers and loves to be around those that he or she considers family. This breed ranks a 2.